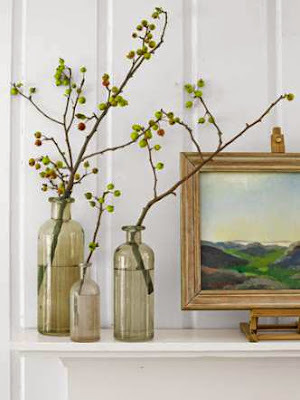 Think outside the circle ~ Not all DIY front-door decor requires a foam wreath form. To make this elegant cluster, we selected 8 four- to six-inch pinecones and 8 two-foot-long pieces of silk ribbon. 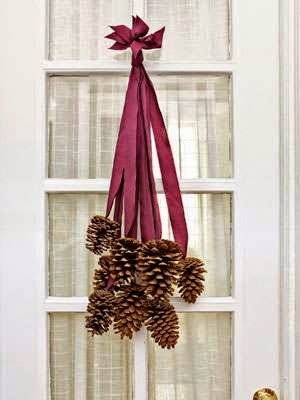 Use a hot-glue gun to adhere the last two inches of each ribbon to the base of a cone. After the glue dries, collect all the ribbon ends and stagger them so that the cones fall at varying lengths. Tie the ribbon ends together in a knot, trim the tips so they are uniform, and slip the knot over a finishing nail. 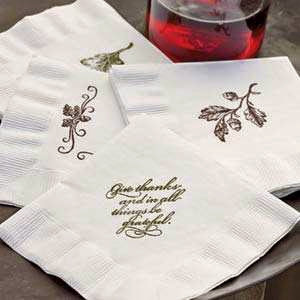 Put your stamp on cocktail napkins ~ Enlist the kids to stamp colorful messages and designs onto napkins before guests arrive. 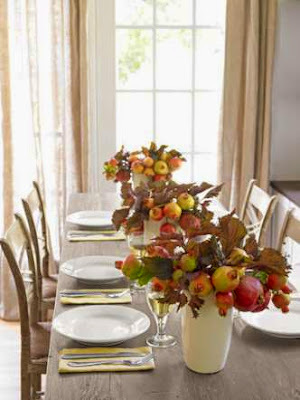 Give centerpieces a new home ~ Free up prime dinner-table real estate by moving oversize arrangements to the buffet. And don't bother with elaborate floral fantasies: Just go "shopping" in your backyard for branches of holly, crab apple, or bittersweet berries. 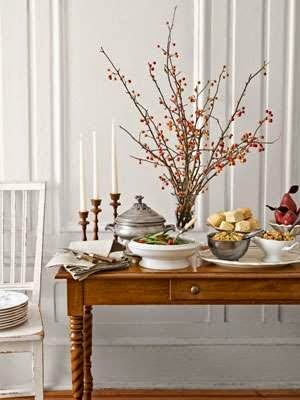 Then bring in-demand items—butter, gravy, cranberry sauce—to the middle of the table. 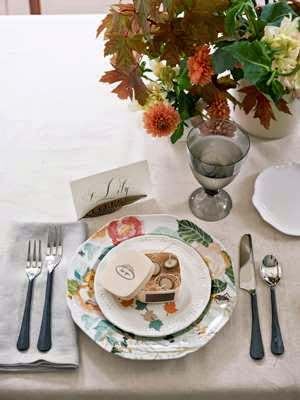 Create the perfect place setting ~ For favors sure to spark conversation, turn acorn caps into adorable mini-candles by filling them with melted wax and inserting short wicks (allow one hour of cooling time). To assemble a complete glow-on-the-go kit, stash the tiny lights, plus a few matches, in a wood box tricked out with a striker, a.k.a. a strip of sandpaper glued to one side. The final touch: Personalize the lid with a sweet frame stamp and a handwritten note. 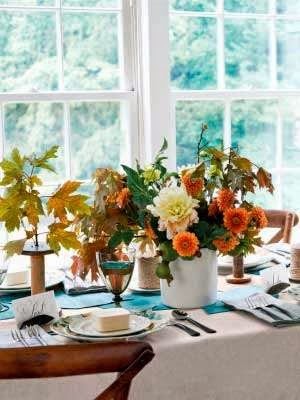 (Acorn caps, $2.50 for 100; kringlescountrystore.com. Wax, $6.70 for 1½ pounds; wicks, $2.99 for 10 yards; amazon.com. Box, $1; acmoore.com for stores. 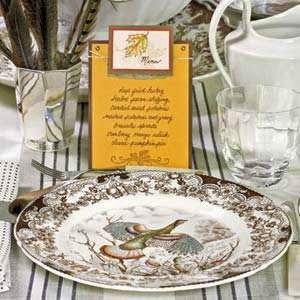 Stamp, $7; rubbersoul.com).